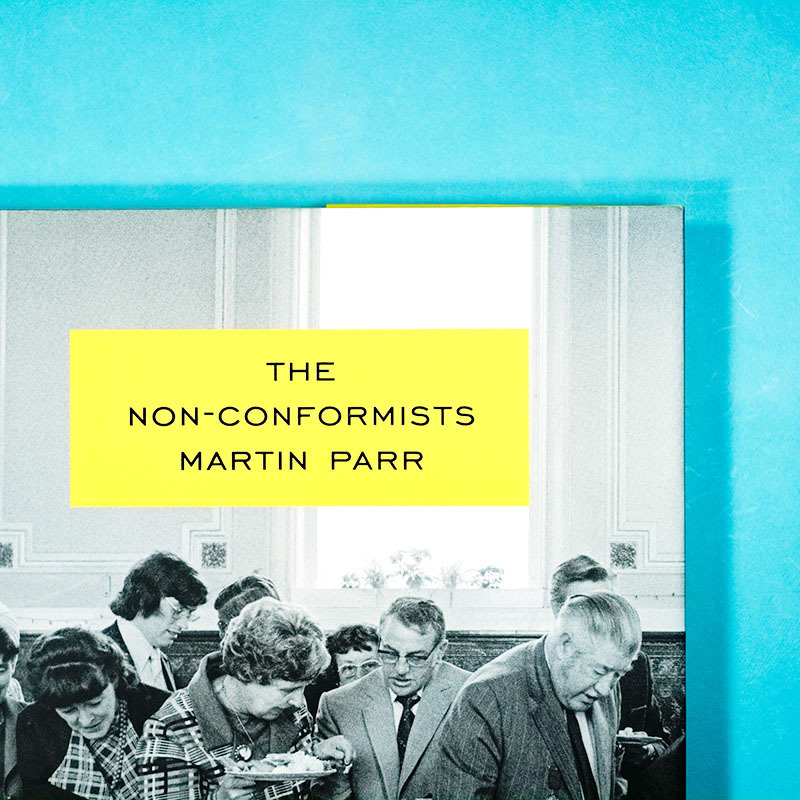 MARTIN PARR The Non-Conformists is his first major body of work from the mid-1970s. This is the first time it have been available in book form. A wonderful and charming surprise for Parr enthusiasts and fans of traditional reportage. This body of black-and-white imagery predates the cutting color work that earned him his fame in the 1980s. 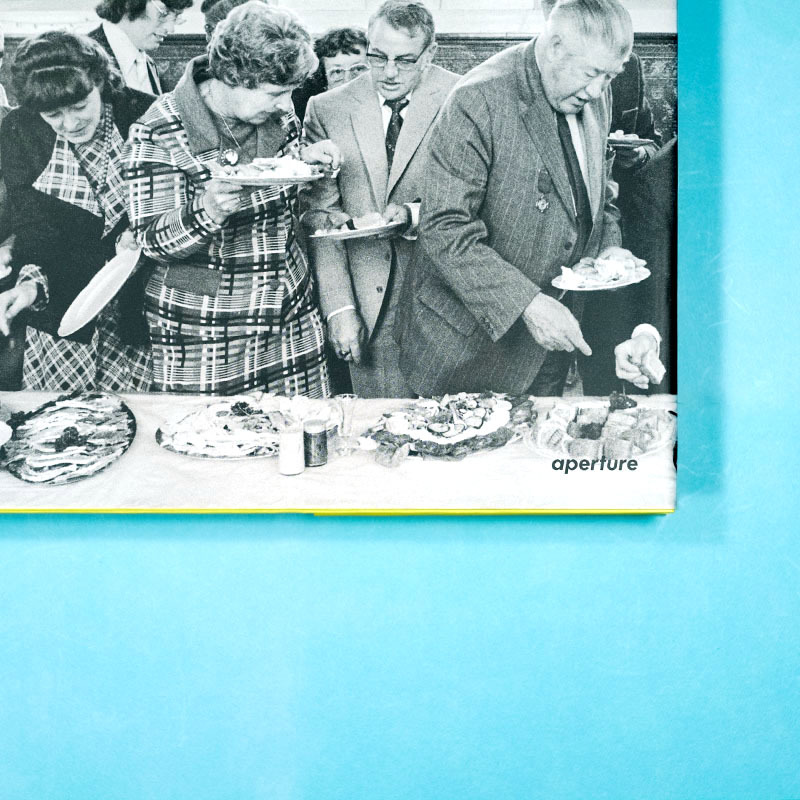 MARTIN PARR The Non-Conformists is his first major body of work from the mid-1970s. This is the first time it has been available in book form. A wonderful and charming surprise for Parr enthusiasts and fans of traditional reportage. This body of black-and-white imagery predates the cutting color work that earned him his fame in the 1980s. In 1975, fresh out of art school, Martin Parr found poor footing in the London photography scene. So, he moved to the picturesque Yorkshire Pennine mill town of Hebden Bridge. Over a period of five years, he documented the town in photographs, showing, in particular, the aspects of traditional life that were beginning to decline. Susie Parr, whom he had met in Manchester, joined him in documenting a year in the life of a small Methodist chapel, together with its farming community. See the other Photobooks we have in stock.